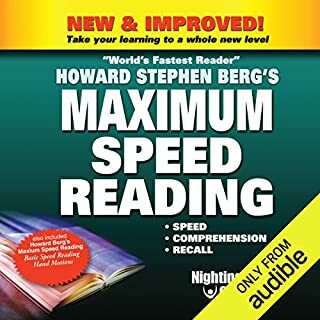 Let Howard Berg's Maximum Speed Reading teach you to absorb all of the material you need to read with unbelievable speed, comprehension, and recall! Are you overwhelmed by the amount of written material you're faced with each day? Do you find you spend most of your day slogging through the memos, reports, articles, books, and websites that are critical to your success, but that drain away your time and energy? Speed Reading could be the answer! How is one supposed to follow the program without the woirkboiok and video? Pointless! Waste of time!